Siena is one of the most beautiful cities in the world. Packed with art and architecture of extraordinary quality, it acts as a magnet to all of us whose souls yearn for aesthetic fulfilment. But we still need to eat. And, to be frank, Siena is not packed with great dining rooms. So it is a joy to be able to point you to what I judge to be a really first-rate restaurant. 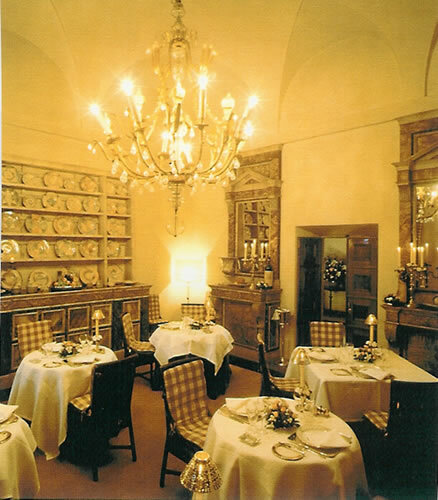 Why the Ristorante Il Canto does not have a Michelin star is a complete mystery to me. 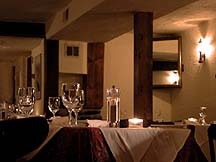 On my visit I loved its formality, its highly proper service and its marvellous cooking. Its setting is exquisite – within a 14 th century priory about two kilometres from the centre of Siena. 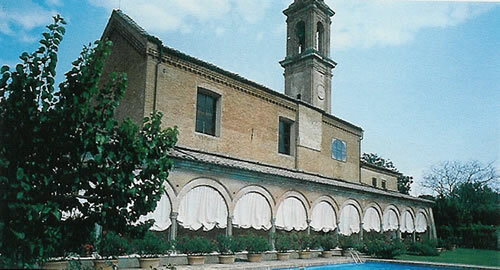 The Charterhouse of Maggiano was built in 1316 from a bequest of Cardinal Riccardo Petroni. Surviving the wars of the 16 th century, its monastic life went on until 1792. In that year it was seized by Grand Duke Leopold II, who expelled the monks and sold off the place in lots to private individuals. He sounds a pleasant fellow, the Grand Duke. Not until 1975 was the property restored and opened as a luxury hotel. (I hope to be able to report on the hotel at a future date.) The chapel is still in use for Sunday Mass. Its graceful tower drew me, but I resisted and made my way to the restaurant. Thus I found myself in a vaulted room, of modest size, sitting on a golden cushion in a wicker chair. Above was a large gilt chandelier. Opposite was a pair of Classical mirrors. In front of me was a tablecloth of white damask. Canned music floated in the air. I do not normally approve of such noise, but this was Rhapsody In Blue. I have never eaten to this piece before, and I found its surging cadences and insistent rhythms strangely appropriate for mastication. Some waiters were in black tie; others were in white jackets with gold epaulettes. The latter wore white gloves, and replaced the napkins of those who left their chairs for a moment. Service, orchestrated by maitre d’ Nicola dell’Agnolo, was correct throughout. The glasses, of local manufacture, were of large size and good quality. I looked around and concluded that, like me, my fellow diners had made an effort to dress properly. As you will have gathered, the whole atmosphere was gracious and civilized. On my way into the room, I had been greeted with great courtesy by the Chef, Paolo Lapriore. If you summon into your mind the face of Emperor Napoleon III, you will have a good idea of Signor Lapriore’s appearance. And, as he looks like an emperor, it is entirely appropriate that he cooks like an emperor – that is, with confidence and bravado. Let us begin at the beginning – with the bread. Various sorts were offered. I chose that with onion. It was delicious. Then came the nibbles. But they were not nibbles. Rather, they constituted a miniature version of what a modern artist might call ‘an installation’. At the end of each prong and squiggle was an amuse-gueule. Fascinating. I like to see a sommelier properly dressed, so I was pleased when Alessandro Bruni appeared in full uniform, with black apron. His advice was good. I asked for a big, bold and buttery chardonnay: and that is what he brought (Il Marzocco, Avignonesi, 2001 – 46 euros). For my red, he recommended an impressive 2001 Chianti Classico (Querciabella – 35 euros). His list is Italian. From it a white Soave can be had for 25 euros. 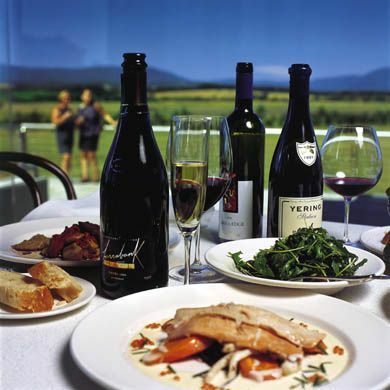 Grander bottles include 1998 Ornellaia (200 euros), Gaja’s 1994 Barbaresco (390 euros) and a 1995 Brunello di Montalcino Riserva from Vigna Intistieti (Le Case Basse – 300 euros). Thanks to the Ristorante Il Canto, my day feasting on the cultural riches of Siena ended with some feasting on the gastronomic riches provided by a first class kitchen.